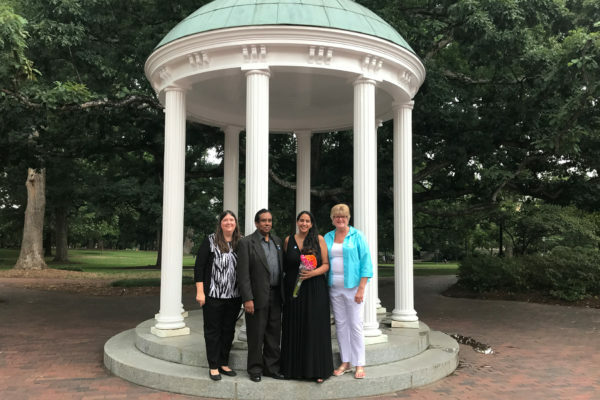 Sarah Ramdeen is a doctoral candidate in the UNC School of Information and Library Science. Her research focuses on the information-seeking behavior of scientists who use physical data sources within the geosciences such as cores, cuttings, fossils, and other specimens. She successfully defended her dissertation on July 28. 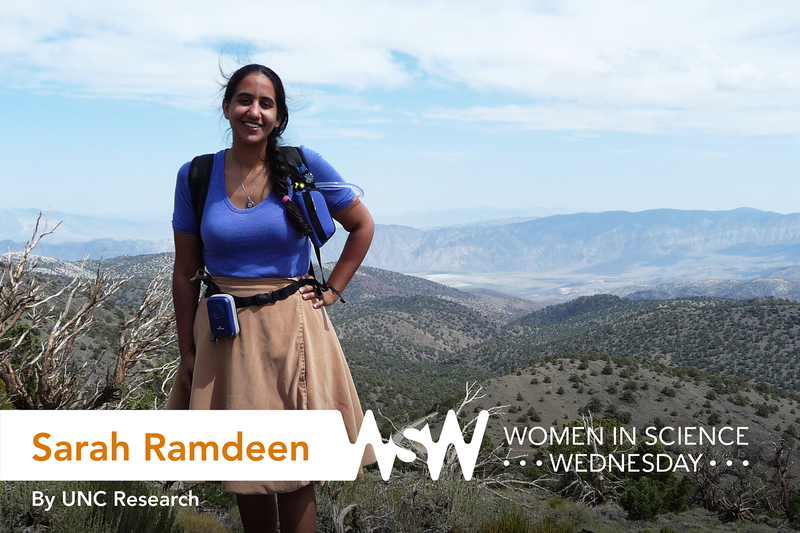 In 2014, Sarah Ramdeen visited Yosemite National Park for a research trip that brought together geologists and computer scientists. I had no idea. I loved hanging out in the library, but didn’t consider becoming a librarian. Actually, at one point during my undergraduate program, I was told by the registrar’s office that I couldn’t register for classes until I picked a major. I was at 100 credit hours (you need about 120 to graduate). I looked at the courses I had taken, and my favorite was a geology class – “Dinosaurs and Disasters on an Evolving Earth.” So, I became a geologist. After finishing my master’s in information and library science (ILS), I worked for the Florida Geological Survey, managing their sample collection. The two topics weren’t supposed to be related, but I kept finding principles and concepts from ILS useful in my work with the collection. Then, I started talking to geologists working with sample collections at other institutions and realized they were facing some of the same management problems I had — but without the ILS foundation to draw solutions from. I thought, Why don’t the people managing these collections — who provide access to patrons — have training in ILS topics? I wanted to investigate that to create solutions. Carolina classic: Ramdeen (second from right) stands with her family at the Old Well after successfully defending her dissertation on July 28. As part of my research I try to keep current on the innovations and practices in the community I study. In 2014, I went to Yosemite National Park for a project that brought together computer scientists and geologists in the field. During the day, the geologists would show us how they collect and record data in the field, and the challenges they have when they return to the office. In the evenings, we had conversations and exercises to discuss possible technical solutions and challenges related to their needs. It was such a cool experience — you could really feel the evolution of ideas by the end of the week. Instead of focus groups or meetings, they actually took the scientists out into the field together. I hope to use creative methods like that in my own research. Have a network of people in your life — whether they are supporting your research agenda or just being a good friend. In addition to my committee (and my field of ILS), I have been grateful to have found supportive peers and mentors in the earth sciences. When you constantly push at research boundaries, it can sometimes feel like you’re doing it wrong. So it’s helpful to have supportive people around you — especially when your research is interdisciplinary.